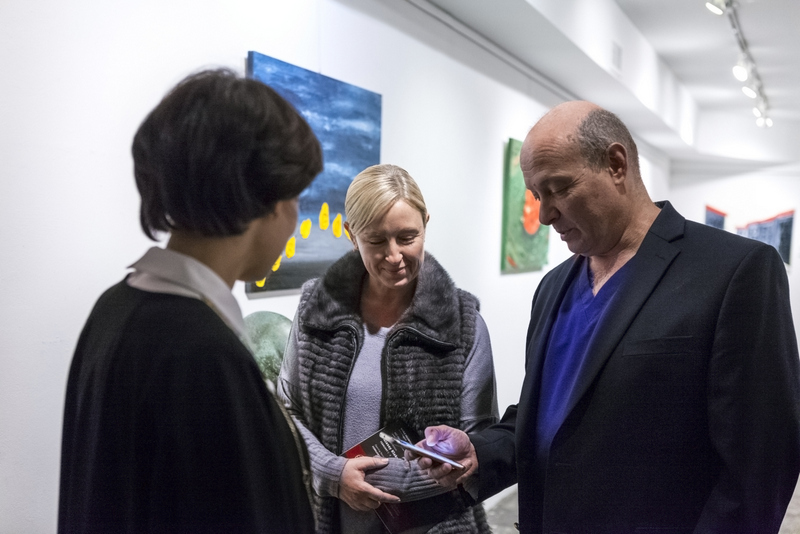 At the beginning of February Seyhoun Art Gallery presented Alexey Klokov, a Russian Contemporary artist whose exhibitions have spanned the world. He has already exhibited in Russia, Japan, Austria, the UK, the USA (DC, PA, NM), and now for the first time: in Los Angeles. Alexey Klokov began his career under the tutelage of the artist named Anatoly Zverev, who fostered and guided Alexey’s improvisational eye. Then he studied at the Leningrad (St Petersburg, Russia) Higher School of Art and Industry as a restorer, after that he went on to the workshops of the Hermitage and the Tretyakov Gallery. There he worked first hand with the works of the artists who would be his key inspirations, such as Matisse, Picasso, Van Gogh, Malevich, Kandinsky, and many more. From those formative years, he has grown to be a favorite artist of collectors from all walks of life, from politicians and financiers to prominent members of show-business. Because his works include inspiration from and elements of such a wide variety of sources, it is easy to see why his works have become so popular for such a diverse population. Alexey Klokov has been called a master of improvisation, and the playful nature of his compositions supports that claim. He incorporates his wide variety of influences into works that manage to maintain cohesiveness and elevate the viewer into the artist’s own landscapes and realities. 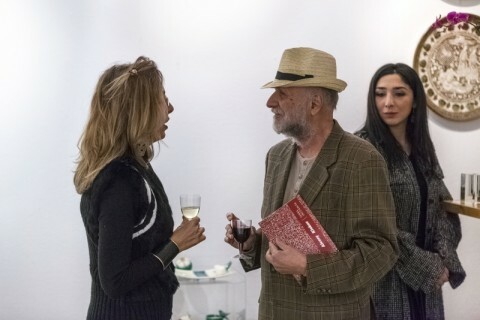 So, it is not a surprise that his art which reflects Alexey’s thoughts about the connections between Substance, Consciousness and Spirit, is called Dialects of Colors by art critics. Seyhoun Art Gallery exhibited the collection of ten paintings to highlight this virtuoso’s oeuvre. Among them are the works from different series: Harmony of Two, Awakening, Reflection, Not, as well as his famous Autobiography and other abstract paintings. They all are united by Mr Klokov’s unique and signature style which is defined by open color, pastose and symbolism.